Description : WipBox enables sellers to create better, richer listings through deeper knowledge gathering and better preparation. Users can learn which categories and for how much they should list items based on each product’s basic info. 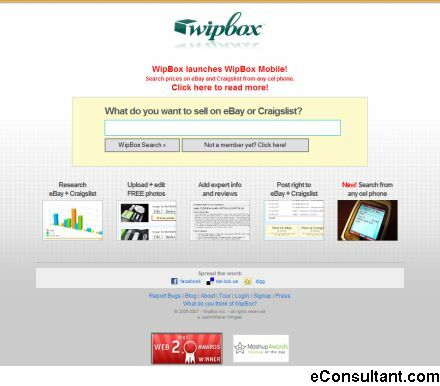 WipBox shows high, low and average prices for items as well as concentration of like items in categories on eBay.